In a highly competitive and saturated automotive market, Mazda is constantly on the lookout for new and innovative offerings to showcase Mazda vehicles in a manner that engages buyers. 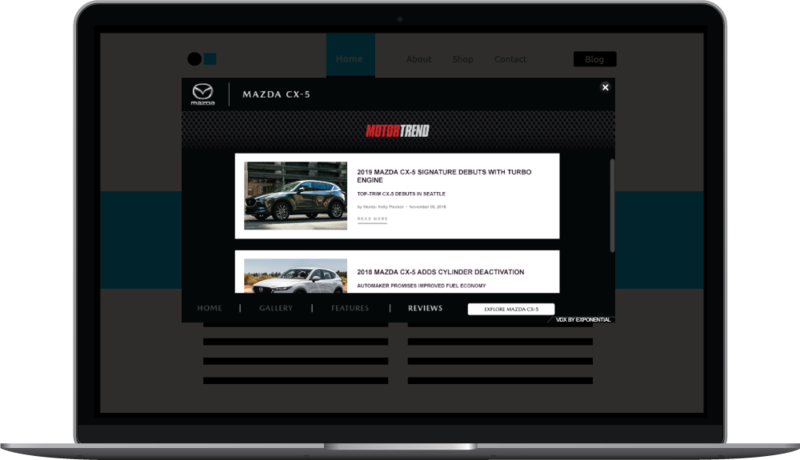 Mazda partnered with Exponential to drive brand awareness in market, for the CX-5. Mazda collaborated with Exponential to build a campaign that unified creative content with desired performance, ensuring consumers could establish familiarity with the Mazda brand in an immersive way. Utilizing our partnership with Motor Trend we are able to integrate auto-specific content into an immersive, highly engaging, video-driven experience (VDX). The Mazda CX-5 campaign, which promoted the model’s innovation and design, used credible and unbiased content from Motor Trend Group, including Chief Designer Gives Us A Walkaround of the 2017 Mazda CX-5, and 6 Things To Know About the 2017 Mazda CX-5. In addition to its own quantitative analysis, Exponential partnered with Kantar Millward Brown to provide a qualitative analysis of campaign performance. 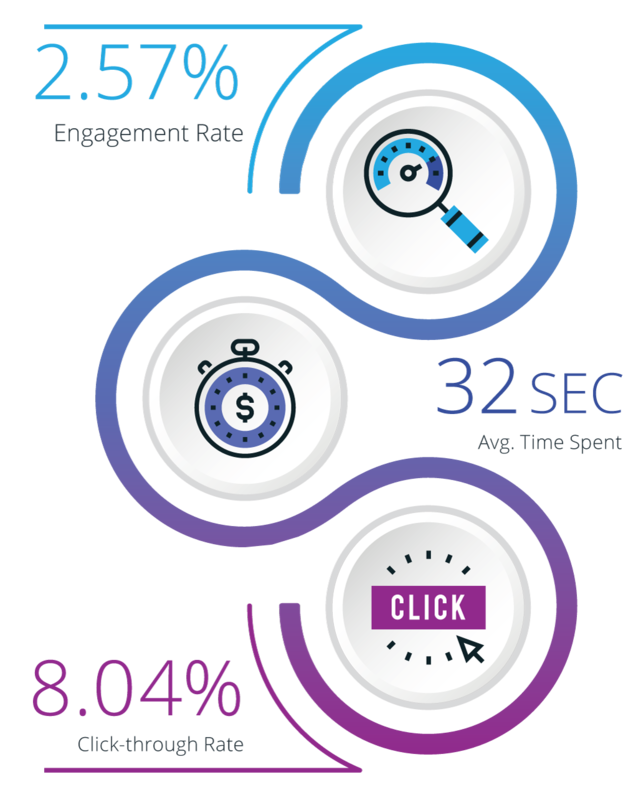 The campaign eclipsed Exponential’s benchmarks, delivering higher consumer engagement rates, time spent in-unit and clicks to Mazda’s website. Higher consumer engagement helped achieve a significant lift in ad and vehicle awareness, amongst respondents aged 18-49 and planning an auto purchase in the next year.